Applications for this year’s awards are now CLOSED. Cotswold Fayre’s search for the next talented and innovative young entrepreneur looking to crack the fine food industry is well underway. Meet the three finalists that have impressed the judging panel this year, hear their stories and decide who will get your vote at this year’s Speciality and Fine Food Fair. The competition is inspired by the growing number of new businesses being started by young entrepreneurs; according to the Centre for Entrepreneurs, over 26,000 UK businesses are run by professionals aged 21 and under. The winning food and drink business will be awarded £1,500 to help grow the business as well as monthly mentoring sessions with Paul Hargreaves and support from Cotswold Fayre's in-house designer to build a strong brand identity. Paul Hargreaves, chief executive of Cotswold Fayre said, “Despite the UK having a healthier economy that is providing jobs at established businesses, we are still seeing more young people seeking to start their own business. Olly Hiscocks, owner of Olly's Olives, has been announced as the winner of our start-up support scheme Young Food and Drink Entrepreneur of the Year. 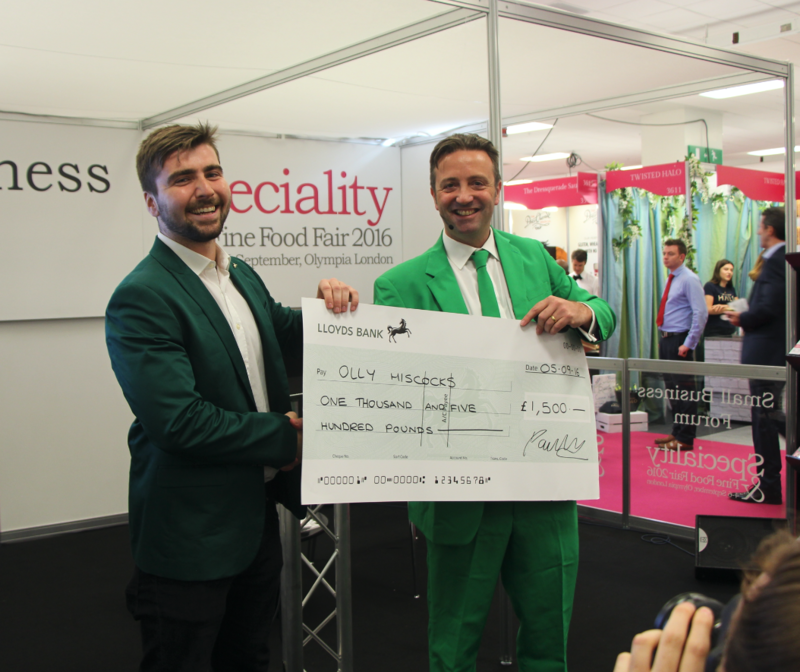 The final was held at the Speciality and Fine Food Fair where the three finalists, Gabriella Block of Nut Blend, rory O'Connor of Infustic and Olly presented their products and business plan to a packed out audience. 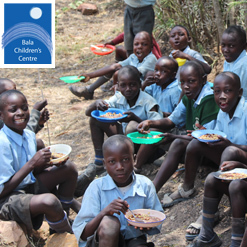 Click here to read the full release from Speciality Food Magazine. Olly's Olives, packed fresh with exciting flavours. 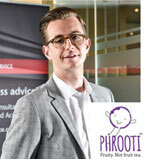 Jerome Jacob, owner of Real Fruit Infusions company: PHROOTI has been announced as the winner of our start-up support scheme Young Food and Drink Entrepreneur of the Year. The final was held at the Speciality and Fine Food Fair where the two finalists, Joe Devereux-Kelly of cold brew coffee company Cool Coffee and Jerome presented their products and business plan to a packed out audience. After the presentations the audience voted in favour of Jerome who was presented with a £1,000 cheque to help grow the business. The ambitious entrepreneur will also receive one to one business mentoring sessions with Paul over the next year. Paul added: “The voting in the final was very close but Jerome just edged it. I am looking forward to working with Jerome and his brand, which offers the market something very different. Speaking after his win, Jerome said: “After working so hard on PHROOTI for so many months, it's great to have won the Cotswold Fayre Young Food & Drink Entrepreneur title. I couldn't be happier. Next step is to make a full batch of retail ready pouches and take the fight to fruit tea... The fruity revolution is coming!" At Cotswold Fayre we’re committed to helping the fine food industry grow and we believe that creative young minds are the key to its development. 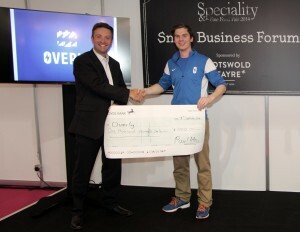 Last year, Paul Hargreaves, owner of Cotswold Fayre, launched a competition to encourage and offer advice to young food producers with £1,000 funding rewarded to the winner. Chris Hannaway of Overly premium sports drinks was this years Cotswold Collaborates winner and is looking forward to learning more form Paul and his experience with selling to retailers. Chris believes that winning Cotswold Collaborates will be “a big boost to the business.” And will be using the prize money to increase marketing efforts in all areas of the Overly launch including consumer sampling. The premium range of flavoured sports drinks are made with coconut water and all-natural sweeteners and flavours. Chris has been conducting tastings in and around London this summer.